What next for Rockstar Games? 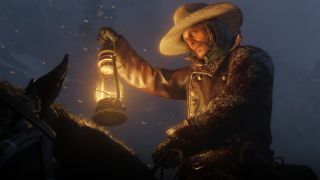 The famed GTA developer is currently drowning in Game of the Year awards and blockbuster sales for Red Dead Redemption 2, the dynamic open-world Western that has captured the industry like few games in recent memory. Never content to rest on its laurels though, various Rockstar studios worldwide are currently on the lookout for new hirings to help advance its technical prowess to new heights – specifically for facial animation and MoCap (motion capture), which is proving increasingly crucial for the engaging, photorealistic animation Rockstar is striving for in its games. As spotted by GearNuke, Rockstar New York is currently hiring for a Technical Face Developer and MoCap Tools developer for "future titles", while Rockstar Toronto have a listing for a Senior Technical Artist specifically to "improve facial animation tracking". Rockstar India is also advertising positions for a Facial Animator and Motion Capture Animator. Given the usual lead time on Rockstar's game development – there were 10 years between Red Dead Redemption and its sequel – it's likely these positions are for games on next-generation consoles. So is it GTA VI? Red Dead Redemption 3? The latest Red Dead game is going to keep us busy for a while, but if we know anything about Rockstar, it's that they'll be looking to outdo themselves next around.